Home » Open calls » Become a Project Coordinator of a Pan-African network! Based on the URBACT methodology, the ANRU (French National Agency for Urban Renewal) and the AFD (French Development Agency) are launching a network of African cities dedicated to the question of digital governance, the ASToN project. A position for a Project Coordinator is open, don't miss the opportunity to apply for it! The ANRU, public industrial and commercial establishment that also manages the URBACT III programme, has partnered with AFD to create a network of African cities around smart city issues (African Smart Towns Network - ASToN). The development of this network will be carried out following the method established by URBACT in Europe. This includes specific actions and interventions in regards to transnational exchange, capacity-building, capitalisation and dissemination. The management, piloting and coordination of ASToN are entrusted to a small team constituted within ANRU and backed by the URBACT Secretariat in terms of methodological resources. At this stage, the mission is for the preparatory work over 3 months from May until July 2019 (interim contract). On a longer term the position will consist on conducting, facilitating and supporting exchanges between cities and between experts and cities, namely by adapting the experiences and workshop materials already produced by URBACT. The Project Coordinator will also be in charge of ensuring quality of the exchanges and products of the networks, and to contribute to the dissemination of the results (internally and externally). Download the position description (in English or in French) for further details. Interested candidates are requested to send their application in French and English, namely a Curriculum Vitae accompanied by a cover letter specifically elucidating their relevant experience, their motivations and the reasons why they believe to be the ideal candidate for this position. 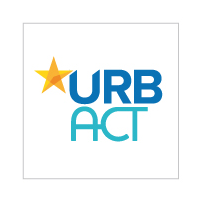 All applications must be sent by email until 23 April to Emmanuel MOULIN, Director of the URBACT Secretariat, and to Thierry Picquart, Head of the Administration and Coordination Unit, as well as to the ANRU HR department. Online interviews may be scheduled with preselected candidates between 26th April and 3rd May 2019. Face-to-face interviews with preselected candidates shall take place between the 2nd and the 7th May 2019.